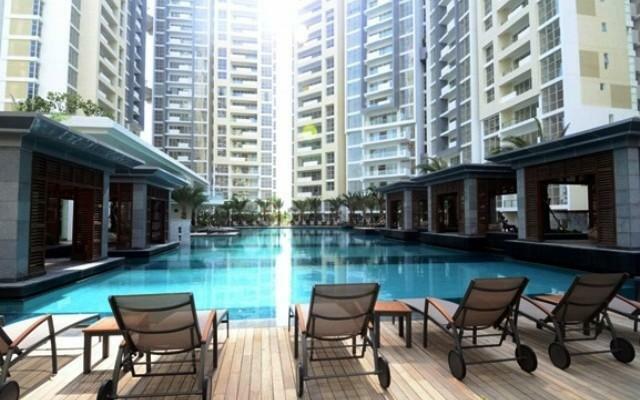 One Alpha Riverside - It's ready for booking now. 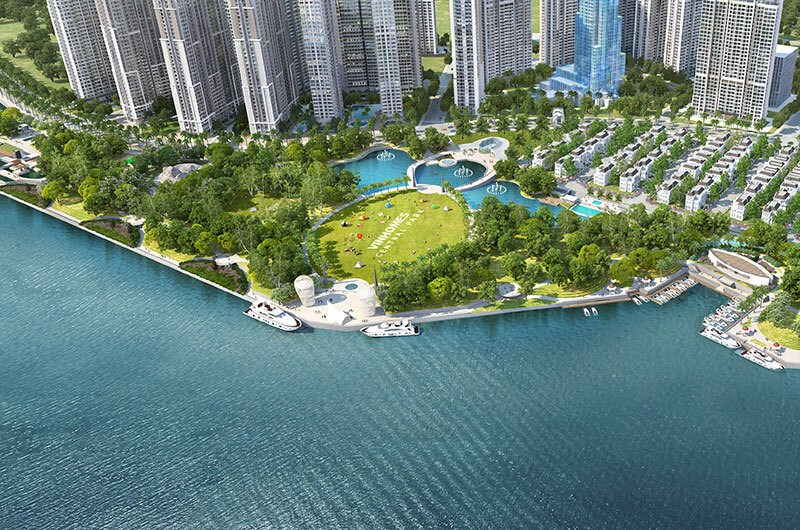 Be fastest Investors to own the super luxury apartments in Diamond Land in District 01 - HCMC. Please kindly contact us at: 0909 288 281 (Viber/Whatapps/Zalo) for free consultant. One Alpha Riverside Apartment in Ba Son, District 01 - The most anticipated project in 2018 is officially coming. 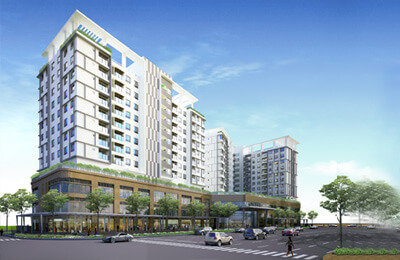 One Alpha Riverside is developed by Alpha King, the most luxury residences complex in HCMC is nearby the Saigon River. Wishing to completely change the face of the line Luxury real estate martket in downtown Ho Chi Minh, The investor will certainly not offend the high level residences in City Center. 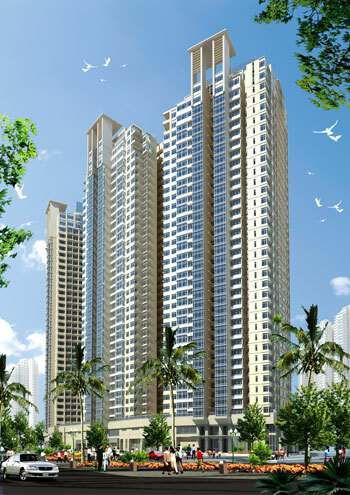 will bring to life resort, enjoy the convenience at the existing city center. For the purpose of shaping up the super high lifestyles for on the "river green; golden land" of Bason, District 01. - Investor: Alpha King Corporation from HongKong. - Project location: No. 2 Ton Duc Thang, Ben Nghe Ward, District 1, HCMC (unique diamond location of District 1) and The front of Nguyen Huu Canh and Nguyen Binh Khiem street. - Contractor: Shanghai Contrucstion Group. - 4 basements with large capacity. - 8 floor commercial block. - 38 storey commercial apartments. - 1 floor for roofstop bar. Project Facilities: Olympic Standard Pool, GYM, outdoor workshop, commercial center, office, apartment service, BBQ, central square, walkway and river park; etc. This is a pilot project on BIM technology of the Ministry of Construction of The Smarthome application is also known as the "home" solution smart "to help users interact with their flat by Application on Smartphone. The "smart home" controls all electronic devices In-house energy saving help, security controls, actively create the perfect for modern life catch timely technology 4.0. 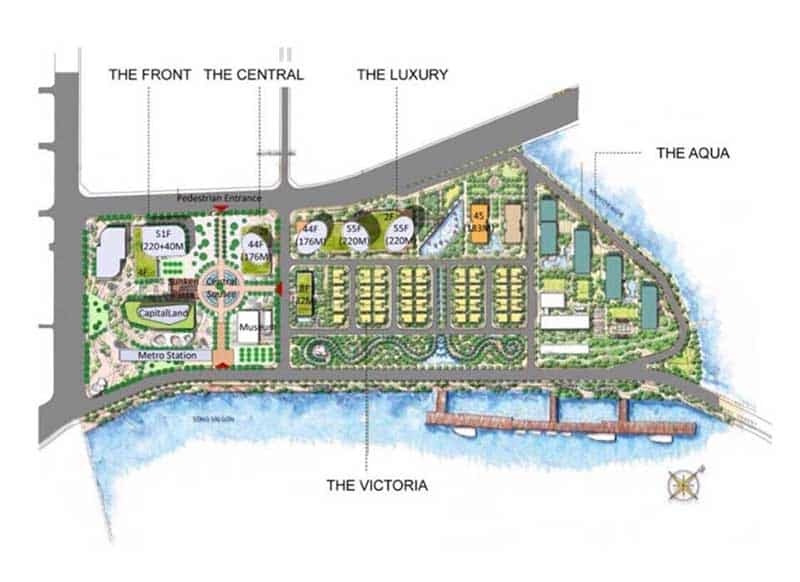 One Alpha Riverside is located Bason diamond land with 3 front lines: Ton Duc Thang, Nguyen Binh Khiem, Nguyen Huu Canh and a front of the river stretching over 1.8 kilometer. It belongs to subdivision 3 according to the central planning of Ho Chi Minh City, in the existing District 1 is the economic - cultural center - the only commercial - service of the city. • For Road is the main road with 3 roads: Ton Duc Thang, Nguyen Binh Khiem, Nguyen Huu Canh street. The Thu Thiem bridge 2 will be completed when the project prepare to form. It's completely easy connection to Thu Thiem only 3 minutes, Phu My Hung about 10 minutes, to airport mostly about 20 minutes and other district 3,5,10 easily also from 5 minutes. • For Waterway with marina stretching over 500m, it help to Develop the restaurant business on the river, bring perfect service experience, enjoyment life that you are in it. Right at the project with just some out door steps.  There is big lake with 21 utilities including: Water playground, Children playground, Aquatic garden birthdays, Green Bay Islands, Yoga gardens, Creative gardens, Gardens BBQ grill, Light Bay, Gym, Sports outdoor, BBQ campgrounds, Pet Zoos. basketball, tennis court, patina, outdoor corners.  Services change the equipment in the home. One Alpha Riverside residents are also entitled to benefits Restaurant service on yachts at Marina of the project, bring the dinner floating on the Saigon River full of romance, next to dishes from the chef floating along with the melodious light music.